It’s been a while since I was in the air alone, with time to do exactly what I want. Drink wine, read a book, watch a movie, chat up my neighbour…or even put fingers to keyboard and bash away. Since my last productive blogging moment when I spent a few weeks travelling around the USA for JoJo, I have been away, but only in the company of my lovely boys. Since they are no longer little and demmanding, life in the air is extraordinarily easy. The memories of those agonising long haul flights with a baby or, even worse, a couple of toddlers are still all too sharp; no sleep at all because you give up your space to the infant. No rest. Hatred from all and sundry with that ‘I’m a leper feeling’ as you walk up the aircraft aisle looking for your place – every passenger praying to God that you and your brood will not be sitting next to them. The non-stop stress of keeping your offspring from kicking the seat (and passenger) in front, bawling on take-off, bawling on landing, running up and down the aisles, projectile vomiting on the man in the suit…gosh, so embarrassing! I’m so very, very grateful we are way beyond all that. But even so, travelling alone is a luxury that only parents can fully appreciate. So here I am on a tiny aircraft heading up the Mozambican coast towards our charity HQ (about 7 hours north of Pemba at the moment). The last week has been hectic to say the least. So much to catch up on and tick off. I have a rule that the in-tray must be empty whenever I leave the country and my day job for more than a week. The kids need to have a freezer full of home cooked food. The garden/house/dogs/holiday cottage will be up to date on pending chores. I totally, completely, absolutely HATE the week before I leave home for a work trip. Thank God that painful week of preparation, stress and worry is over. I caught the flight to Johannesburg last night with plenty of time to spare, spent a fitful night trying to get comfortable (and failing) in my little cattle class seat, had a pleasant enough transfer and now I’m finally on this sweet little airplane heading north again. 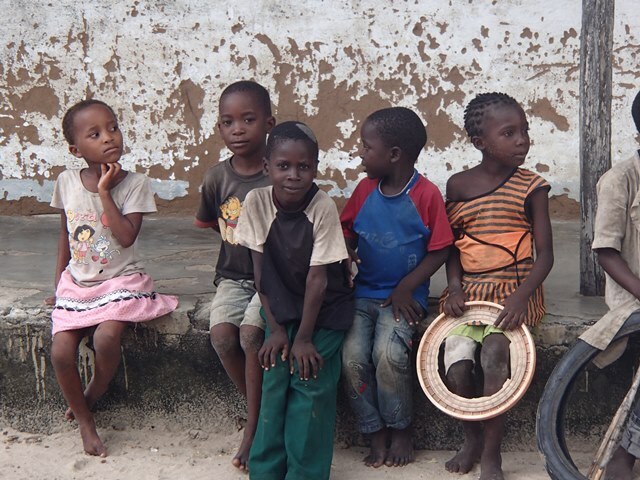 Our JoJo charity is called The Nema Foundation, based in northern Mozambique. 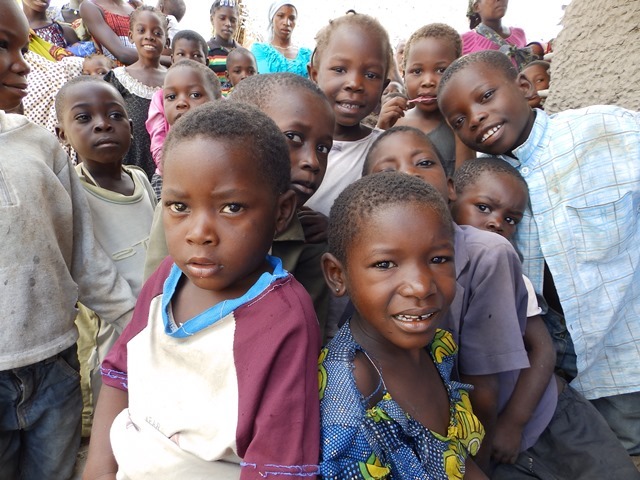 Life expectancy in this part of Africa is under 45 years of age. Infant mortality runs at 30%. Mortality during pregnancy is one of the highest in the world. Education is a luxury and the country was damaged by 20 years of hideous war (first the war of independence from the Portuguese, then the civil war between the Renamo and Frelimo parties). 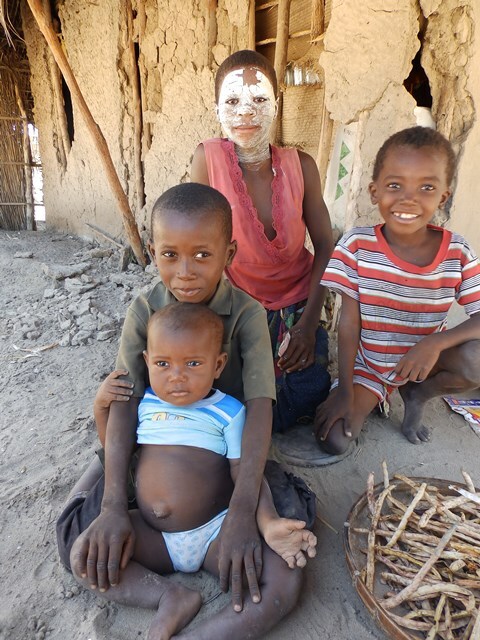 Mozambique continues to be one of the poorest countries in the world but despite all this the people are naturally happy. Often they own literally nothing and struggle to find food for the next meal, but all you see are smiling, laughing faces. I got involved with Nema 8 years ago. JoJo was looking for a new charity to support having donated to several causes and been worried about where our donations were going. We wanted to find a good cause where we could be 100% sure that ALL the money we donated or raised would be spent in an ethical and environmentally friendly manner. We wanted our donations to go to a cause with a holistic approach; looking at the causes of infant mortality and trying to establish a sustainable way to prevent it. Seven years ago, when I came here for the first time, my children were only 8 and 11 years old. I heard the statistic that 1 in 3 children died before they reached their fifth birthday and I could not sit by and do nothing. Is the loss of a much loved child really that much less painful to parents in the developing world than it is or would be to us in the UK? I found the experience of losing children during pregnancy total agony and I worry daily that any harm may come to my beloved sons. Does a woman in a poor country have different levels of emotion to me? I guessed probably not and we decided that we must try to help reduce infant mortality where we could. For the past 8 years we have helped Nema with water, health, malaria, HIV, school building and secondary education projects. We have handled the charity accounts, helped with fundraising, donated plenty and agonised. We consider the ethical dilemmas, the logistical issues, the financial constraints and the moral position. Our long term strategy is to ensure that the communities we work with (24,000 people over 16 villages in the Quirimbas National Park) no longer need our support in 20 years’ time. Our aim is to enable, not to give senseless hand-outs, educate in line with local customs and beliefs, not impose our western values, and support rather than dictate. 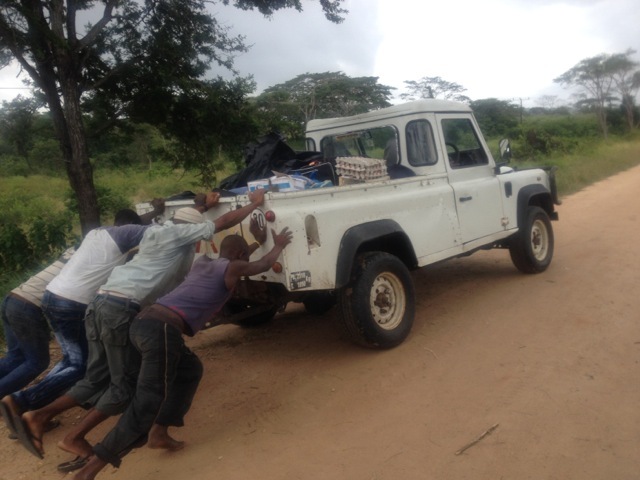 Getting to Nema HQ is not that easy. 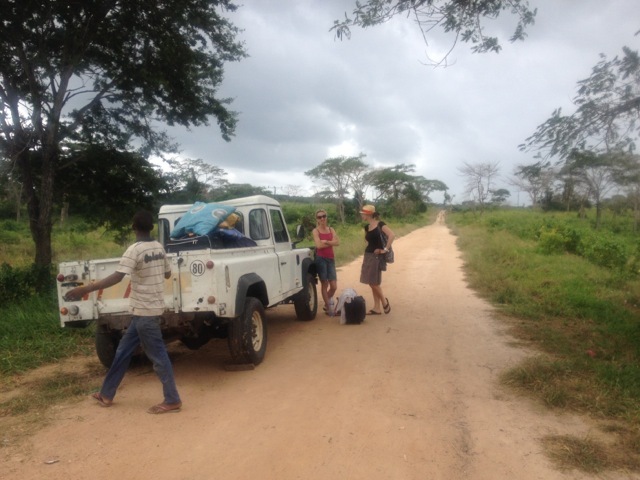 Flight to Johannesburg, transfer to a local plane which meanders back up the Mozambican coast, and arriving at Pemba nearly 24 hours after leaving home. We must stay overnight here before setting off by truck to Macomia on a great tarmac road. Then the great road stops, very suddenly – but the adventure begins. Despite being a little tired of the journey, the countryside is so beautiful that the journey flies by. 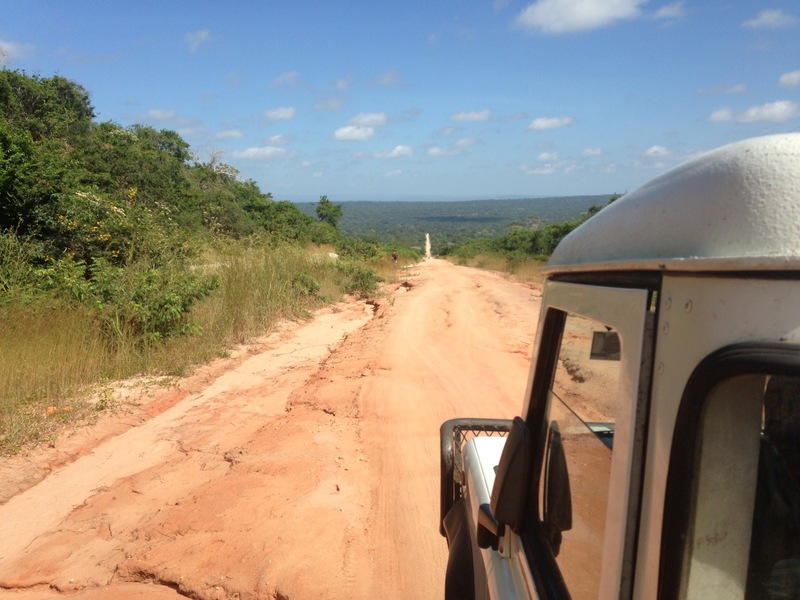 The dirt road is slow and due to the rains a bridge has been washed away meaning no trucks can cross. We unload, and using the plethora of local boys waiting for a few pennies to carry our bags, walk down into the river bed under the collapsed bridge and up the steep bank the other side where crowds gather waiting for onward transport. The bridge fiasco has created a great opportunity for mini businesses to spring up – a samosa seller is frying tasty little eats in a converted oil drum over a fire, boys with ropes wait for commercial loads to transfer, even a barber is giving haircuts to men sitting on upturned buckets. 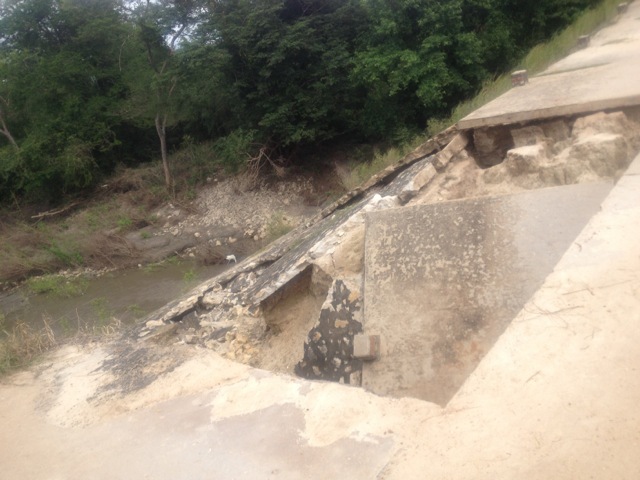 One of the bridges – washed away by the recent rains. truck worked fine, if you accept that the front door swung open repeatedly, it had no windows or windscreen wipers, and oh yes…did not start! Once across the river our journey is still not over. The only vehicle to be found consisted of just one seat in the cab. Everyone else climbed into the open back which started off looking fun but the quality of the roads and sudden downpour of rain turned the journey into one which will be talked about for many years to come – certainly an adventure – my boys would have loved this. I’m pretty sure this time out of the office and away from my family is going to be worthwhile. I’m pretty sure the work Nema is doing is going well, but I’m on my way there to double check (and hold the hand of the New Charity Manager, Lisa who arrived a couple of days ago). I’m pretty sure this rain will stop and tomorrow the sun will be shining and I’ll remember this is one of the most beautiful places in the world…I’ll keep you all posted on progress. ← Is recycling your household rubbish worth the effort?